Revival Live UK, producers of Britain's Got Talent finalists The D-Day Darlings are coming to Northwich Memorial Court with The Bombshell Beaus! This entertaining vocal-harmony trio presents a group of dashing dreamboats, performing some of the most memorable hits from across the decades in their own distinctive sound. A show comprising a smooth balance of sentiment and comedy, this is sure to get the atmosphere buzzing at any event. 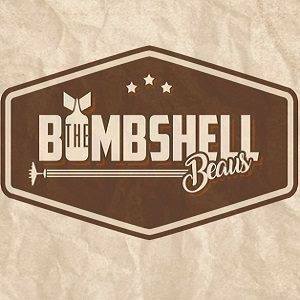 Adorning American GI-style uniforms, leather flying jackets and those essential super-cool aviators, The Bombshell Beaus begin their show by serenading the audience with a nostalgic selection of 40s and 50s classics. Engaging with the crowd, their second set sees more swinging, swaying and swooning as the Beaus step on to the stage. Smartly dressed in stylish tuxedos and dickie bows, they proceed in bringing the songs of the 50s and 60s to life.